McLaren, who have been keen to be involved in a new global electric motor racing series, will provide engines, transmissions and electronics to the Formula E electric championship. The Woking-based squad will work with the newly-created Spark Racing Technology company to prepare the cars that will participate in the championship, which is to be launched in 2014. Spark Racing Technology will be part of a consortium of international investors that will create and assemble cars for the series. The company will be led by Frederic Vasseur, team boss of the ART GP2 team. "I'm a passionate believer in the role that motorsport can play in showcasing and spearheading the development of future technologies, and regard the Formula E concept as an exciting innovation for global motorsport," said McLaren boss Martin Whitmarsh. "McLaren has worked with Frederic Vasseur for many years, and our association has been very successful. "Working together in Formula E, McLaren's world-class technology and Spark Racing Technology's expert knowledge will combine to allow both companies to stay at the forefront of technical innovation and hopefully open up great opportunities for the racing cars of tomorrow." Vasseur said McLaren's involvement was an immediate boost to the series. "I am proud and happy to give birth to this project that is innovative and extremely rewarding for a company both technically and philosophically," he said. "Personally, I can write a new chapter, regardless of my other ventures in motorsport. "Confidence and commitment from our partner McLaren is a guarantee of quality and reliability without which this project would not have been possible." 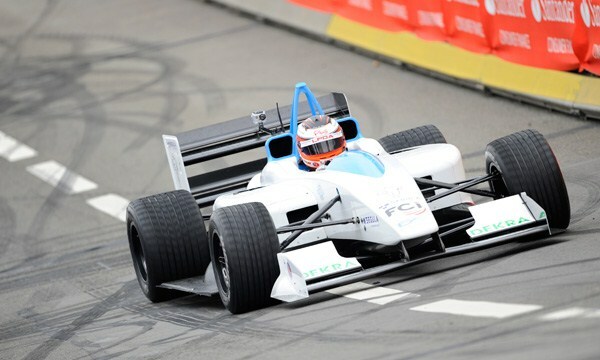 Demonstrations of the first Formula E cars will begin in the second half of 2013, with the championship scheduled to begin in 2014. The series aims for a grid of 10 teams and 20 drivers.